Goal revealed on Tuesday that talks had been opened regarding a switch to Asia. The 31-year-old then posted pictures of himself at Brussels airport as he prepared to head off and finalise a deal. An agreement was not confirmed during the European transfer window, but the deadline is yet to pass in China. That has allowed Shandong Luneng to acquire the services of an experienced performer who departs Old Trafford after five-and-a-half years. 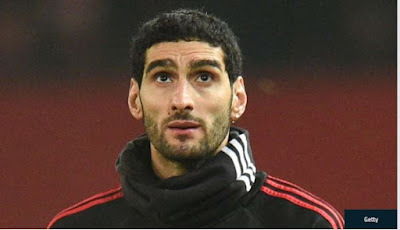 Fellaini had only committed to a new two-year deal with United last summer, with those terms agreed as his previous deal expired. Rather than allow him to drop into the free agent pool, the Red Devils worked hard to put an extension in place. Those discussions were, however, held during the reign of Jose Mourinho, with the Portuguese a big fan of Fellaini and the options his versatility provided. A change in manager, though, was always going to see questions asked of the Belgian. Ole Gunnar Solskjaer has sought to move United away from the more defensive mindset of Mourinho and restore the attacking philosophies of old. Fellaini played no part in those plans and slipped down the pecking order as a result. Transfer talks have progressed quickly and he is now heading off to open a new chapter in what has been a colourful career to date. He departs United having taken in 177 appearances and netted 22 goals.